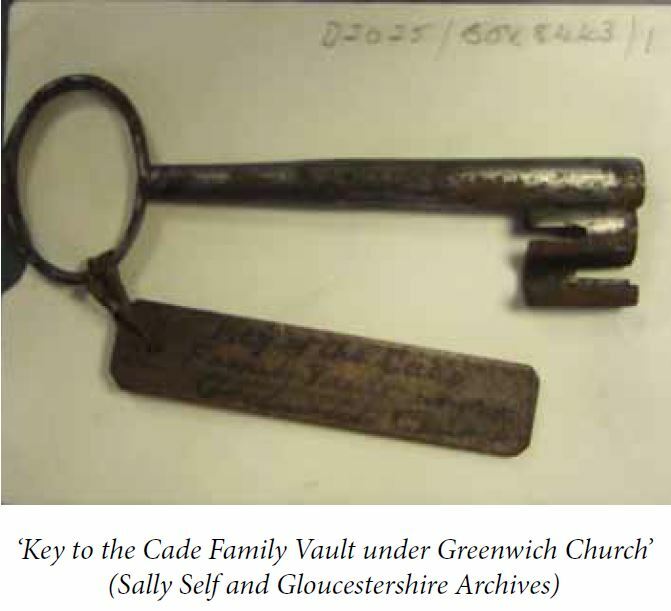 Jack Cade and the Mortimer connection…. In the summer of 1450, Richard, 3rd Duke of York, threw in his appointments in Ireland to return to England to assert his rights as heir to the throne of the inept Lancastrian king, Henry VI. The ensuing confrontation with poor Henry, who really was too gentle to be king, led to Parliament being called for 6th November, 1450. From then began the relentless slide into the thirty years of civil strife, now known as the Wars of the Roses. And the event that prompted York’s return was, I believe, the Kent rebellion of that summer, led by a mysterious figure known to us as Jack Cade. Before I go on, it is necessary to explain York’s strong claim, which came through two sons of Edward III. One was Edmund of Langley, 1st Duke of York, who was Edward’s fourth surviving son. The other—much more importantly—was Edward’s second son, Lionel, 1st Duke of Clarence, albeit through Lionel’s daughter and only child, Philippa. She married Edmund Mortimer, 3rd Earl of March, and their children therefore had a strong claim to the throne. Lionel’s was the premier surviving branch. His elder brother, the Black Prince, only produced Richard II, who died childless. The only trouble was, Philippa was not a man. If she had been, the whole matter of the succession would have been cut and dried. So the blood of Lionel’s daughter Philippa was far senior to that of the children of Edward III’s third son, John of Gaunt, from whom descended the line of Lancastrian kings that had usurped the throne from Richard II in the first place. Richard II , a prisoner wearing black, surrenders the crown to his Lancastrian cousin Bolingbroke, who is usurping the throne as Henry IV. So, Richard, Duke of York, had the blood of Lionel and Edmund, 2nd and 4th sons of Edward III, whereas the Lancastrians had the blood of Gaunt, the third son. All in all, York rightly considered himself to have the superior claim. And he pushed for recognition. Henry VI was not unpopular in himself, he was too mild and pious for that, but his government, his queen and her favourite, Edmund Beaufort, 2nd Earl of Oxford (widely suspected of being the queen’s lover and the father of boy born suspiciously long after the royal marriage) were exceedingly unpopular. There was no justice for any man unless he had influence, and influence was mostly corrupt and ruthless. The Lancastrian government and its friends rode roughshod over the people, and conspired to see the troublesome York appointed Lieutenant of Ireland, safely out of the way. 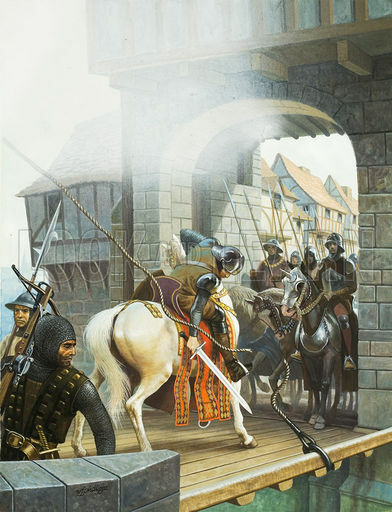 Then at the end of May 1450, along came Jack Cade, who was also known as John Amend-All, on account of his rallying cries that he would right all the many wrongs committed by Henry VI’s regime. But he called himself John Mortimer, and as Captain of Kent began rousing the men of that county to march on London. Cade’s army at one point numbered 40,000 men, so it was not a meagre little uprising that didn’t warrant much attention. Declaring that he was the Captain of Kent, Cade even held London, and on his way to take possession is said to have passed the London Stone in Cannon Street, which he struck with his sword and proclaimed that now Mortimer was lord of the capital. By choosing the name Mortimer, he conjured York to people’s minds. Mortimer indicated the premier right to the crown of England, and Cade was pushing the fact. So…who was he? An agent of the Duke of York come to claim his crown? Or a real Mortimer—the line of which was believed extinct—come to follow his own destiny? A real Mortimer was what Cade claimed to be, presumably from the wrong side of the blanket. The last Mortimer Earl of March was Edmund, the 5th Earl, who died in 1425. Edmund married a daughter of Owain Glyndŵr in 1402—was Cade the result of this union? If so, he was descended from Llewellyn the Great. He also had a claim not only to the title and lands of the Mortimers, but to the throne now occupied by Henry VI. According to The Holy Kingdom by Adrian Gilbert, there was at around that time, i.e. 1425, an enigmatic Welsh poet named Sion O’Caint, which translates as ‘John of Kent’”. John Cade? Caeade (pronounced Cade) means ‘covered over’ in Welsh. Was it a play on words that actually referred to ‘covered over’ or hidden Mortimer blood? Did this Sion O’Caint have anything whatsoever to do with Cade? Who can say? Was the Duke of York involved up to this point? He does not seem to have been, even though his Yorkist followers clearly regarded Cade’s cause as their own. Among the articles and requests Cade submitted to the king was a demand for the return to England of the Duke of York, and by now it was clear that many of the king’s men were in sympathy with the rebels. In fact, it was clear that a great part of the realm wanted York to come home. Over the following days there were disturbances and deaths, both noble and common, and among those executed at Whitechapel was one John Bailey, who was “supposed to have known too much about [Cade’s] antecedents”. His head was displayed on London Bridge. Then the government fought back and there was a full-scale attack on London Bridge, which was held by the rebels. The struggle went on all night, until the Bishop of Winchester, William of Waynflete, sought an armistice. He had a meeting with Cade, and offered pardons—Cade’s was to be under the name John Mortimer. This was to spell the end, because under the name John/Jack Cade, he was still a hunted man. He was pursued and mortally wounded, dying when being conveyed back to London. His body was exhibited for identification, and then quartered and beheaded. The head was exhibited on London Bridge, probably while John Bailey’s was still there. What was it about Cade’s background that Bailey might have known? We will never know. Meanwhile, in Ireland, the Duke of York had been following events with great interest, and was very well aware that the country had risen for the name Mortimer. The time had come for him to assert himself, and his rightful claims. So he left Ireland and came to London. What was the London Stone’s original purpose? And who erected it…? Made from Clipsham limestone, the displayed portion is roughly shaped and round-topped, with two grooves worn in the top. Its origin and purpose are no longer known, but it was always of some importance to Londoners, who, as far back as 1198, referred to it as the Lonenstane. What we see today is only a fraction of the original Stone, the rest of which still lies beneath Cannon Street. There must surely be something of great interest awaiting discovery. Starting with how tall the Stone was in the beginning. One suggestion put forward is that the Stone was of Druidic origin. The most popular theory is that it is Roman. Oh, dear, isn’t everything linked to the Romans these days? It’s as if no one in Britain had a clue about anything before they were invaded and taught how to breathe and set aside the woad. A present-day rising against those pesky Romans might not go amiss! Where is Boudicca/Boadicea when we need her? However, I digress. One of the Roman theories is that perhaps it was a central milestone, one from which all mileage measurements in the province of Britannia were taken. A sort of Greenwich Meridian for the length of journeys. Maybe it was, we may never know. Unless they dig up the rest of it, which is still deep underground. Excavations at Cannon Street Station have revealed the remains of the governor’s palace, which may have some bearing on the Stone. Or not. The same goes for it being the top of a Roman wayside funerary monument. Without examining the rest of the Stone, we aren’t going to know. Stones have always been of importance in our history. For instance, there is the Stone of Scone, or Stone of Destiny, which many believe to be the stone that Jacob raised to bear witness to his covenant with God. Whatever that particular stone’s original history, it was for centuries fixed into the Coronation Chair in Westminster Abbey. Our kings were crowned upon it. As had been Scottish kings before them. It has, of course, now been returned north of the border. Another stone, less factual perhaps, is the one from which Arthur drew Excalibur, but this story is best approached with caution. Why? Because we have no idea if it is fact or fiction. As is the case with so much where Arthur is concerned. But swords and stones have an ancient connection. In his 1450 rebellion against the corrupt government of Henry VI, Jack Cade struck the London Stone with his sword, and declared that he was now the Lord of the City. 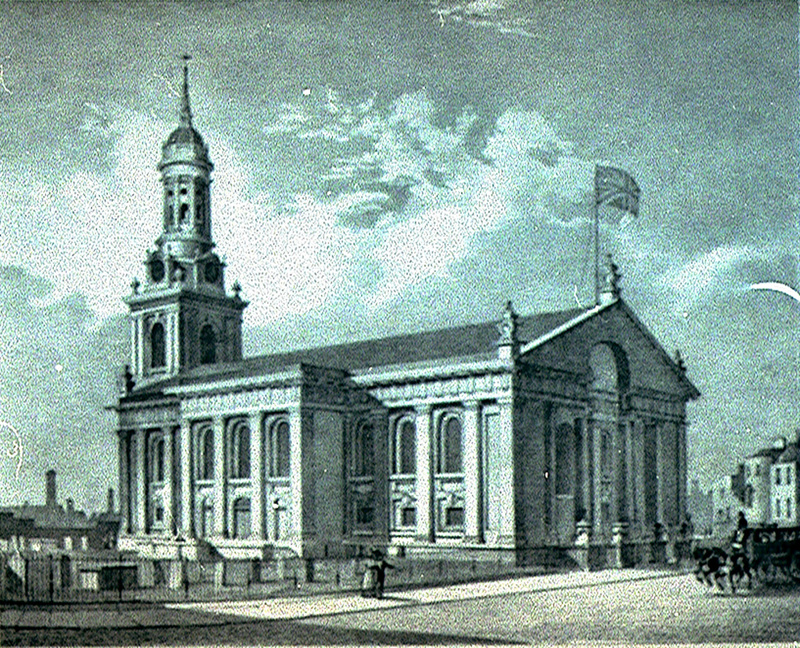 London was not founded by the Romans, they merely expanded on what was there already. A favourite myth these days is that London was actually commenced by Brutus and the Trojans, who left their own land to find somewhere to found a New Troy. They did, the name was confused into Trinovantum, and then the Romans happened along. It is wondered if the London Stone was the foundation stone of New Troy. An exciting fact is that excavations at St Swithin’s Church revealed Roman levels some 4’-6’ below the surface. But also revealed massive stone walls some 15’ below the surface, therefore considerably predating the Romans. So, who is to say that the London Stone wasn’t from this earlier period? Just how far back might it go? Just how sacred might it have been? And to whom? Whatever, it should not be left, forgotten, in its underground tomb. Liberate it, and it may have important things to tell us. To learn more on the London Stone, I recommend reading Appendix I of The Holy Kingdom by Adrian Gilbert, Alan Wilson and Baram Blackett. It is from this that I have taken much of the above article. *This is how I understood its perambulations, but there are slightly differing accounts and new developments. All I can say is that as far as I now know, the top of it was in the wall of the Bank of China, but is now temporarily in the Museum of London. I think. It is a very mobile object! Following our previous post, This tells us about some specific mediaeval buildings ands structures. Did Richard III Really Say That? My morning ritual involves making a pot of coffee: I can’t function without it! Normally, I don’t connect Richard III with the process of brewing a pot of Joe, but today, I happened to reach for a coffee mug that I’d received as a gift upon graduating from law school in 1993. I laughed to myself, because it was emblazoned with the quote “Kill all the lawyers” and it attributed that statement to King Richard. My friends obviously had a wicked sense of humor in giving me the mug, but they didn’t know it was doubly relevant to me, both as a lawyer and a history buff with a fascination for that monarch. 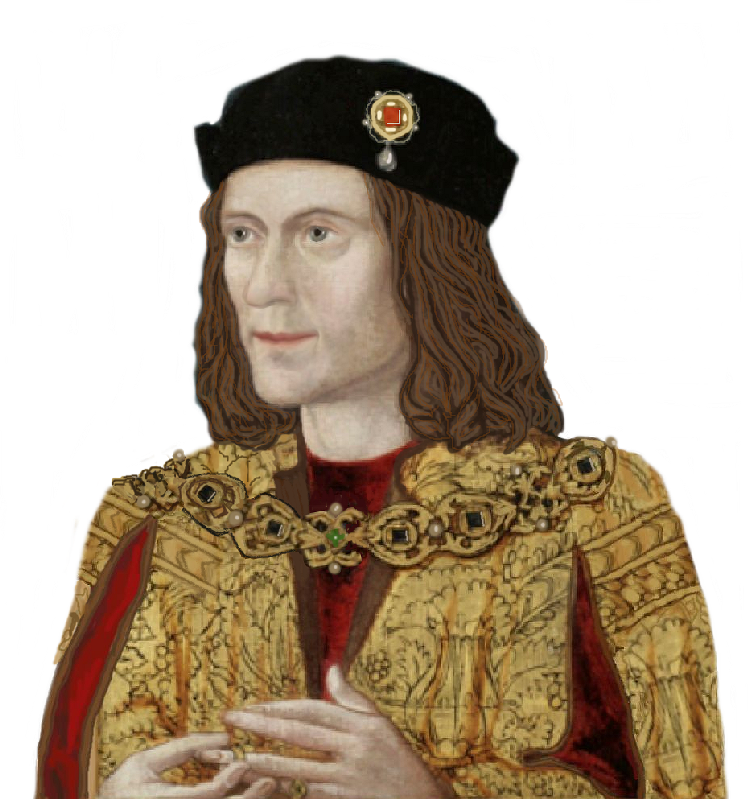 Did Richard III hate lawyers?